Betsie Strydom is a partner in our Johannesburg office Tax Practice. She specialises in corporate tax, mining tax, trusts and tax dispute resolution. 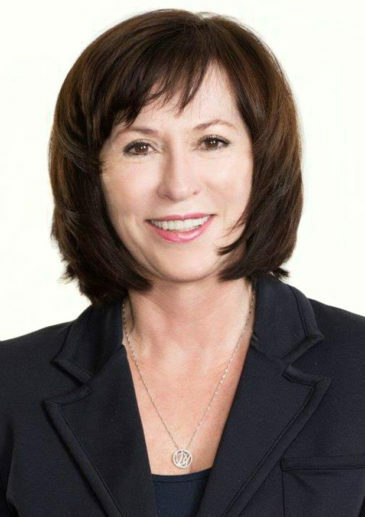 Her expertise extends to all aspects of domestic tax, mining royalties, transaction taxes, tax disputes and tax negotiations, tax and commercial mediation, international tax and exchange control issues and broad-based empowerment structures. Betsie holds a BA LLB and a Higher Diploma (International Tax) from the Rand Afrikaans University, a Higher Diploma in Tax from the University of the Witwatersrand as well as a certificate in Advanced Administrative Law and a certificate in Mining Tax Law (also from the University of the Witwatersrand). She is an accredited Conflict Dynamics / African Centre for Dispute Settlement Accredited Mediator and an accredited Mediator for CEDR (UK). She has written various articles on VAT, tax dispute resolution and carbon tax and is the author of the chapter on Mining Royalties in the Juta publication “Mineral and Petroleum Law of South Africa”. She chaired a plenary session on tax dispute resolution at the 2015 Tax Indaba. Draft applications for advance tax rulings related to capex deductions for clients in the mining industry. Successful tax litigation against SARS on deferred delivery share option schemes. Tax litigation with SARS on various matters involving transfer pricing, Value Added Tax, and income tax. Various ongoing tax disputes with SARS involving income tax, administrative law and VAT. Advising a soccer club on payments to players in respect of image and autograph rights. Advising high profile charitable foundations on registration as a public benefit organisation, on the conduct of their activities, and liaising with the tax authorities on various related matters. Advising on restructuring, broad based empowerment and the use of BBEEE trusts for clients in the energy and power sectors. Advising clients on inward investments and related exchange control and tax aspects. Advising on the tax implications of share buybacks and share conversions. Advising on the tax implications of structured finance products and how to respond to requests for information by SARS. Advising on international law and domestic and international tax aspects of construction activities performed by non- residents in South Africa. Advising on the tax implications of mining activities in various African countries. Advising on various withholding taxes. Advising on the tax treatment of secondment arrangements. Providing Value Added Tax advice on foreign donor funded projects, the provision of electronic services and the conduct of business in South Africa. Advising clients and drafting applications on voluntary disclosure applications and also on the special voluntary disclosure program. Advising on BEE structures and the tax consequences of group restructuring. Recognised by Best Lawyers 2017 for Tax Law and Trusts and Estates. Tax focus in 2016: What does the future hold? Mining rehabilitation funds – what if they are no longer needed? What is the basic structure of the mining royalty regime in South Africa?